In the same time, very often those companies seek to innovate, create new value, diversify, find new markets. Does their decision of hiring people with industry experience limit their potential to innovate? 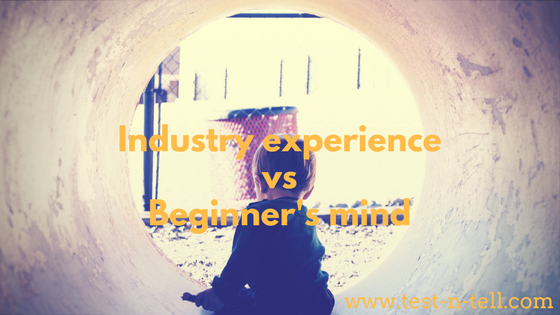 The concept of "beginner's mind" is underappreciated in our corporate culture. Arguably, "beginner's mind" is the critical prerequisite to innovate. Why so? Let's reach for another abstract concept first. In simpler words, it's belief that everyone you talk has the same understanding of a subject that you have. An understanding includes principles and limitations. This bias has another important implication: we cannot unlearn what we already know. We forget stuff to only to a certain degree. As soon as we learn that 2x2=4 it's close to impossible to forget about that. The same problem with an industry knowledge. After some time in an industry, we learn a lot about how it works. This knowledge limits our ability to innovate. Why? Because limitations are a part of an industry knowledge. Everyone believed that only government agencies could operate in an aerospace industry. Before some private entrepreneurs without an industry knowledge challenged that. Entrepreneurs with the "beginner's mind". So when companies search for somebody who can quickly pick up and continue to do "business as usual" - they surely need people with industry knowledge. But when those companies seek to innovate - they need people with the "beginner's mind". Without industry knowledge. So they would question basics and challenge limitations. Coming back to hiring PMs, domain knowledge is more important to an industry experience. An expert PM would succeed in any industry since product management practices are universally applicable. For innovation - prioritise "beginner's mind". For continuity - industry expertise.